Many people will think, you gotta be kidding! For the consummate iconoclast, every belief should be seriously pondered. The lover of truth must allow all assumptions to be overthrown or upheld, with adequate consideration. So bare with me as we consider this question: Flat Earth or Spherical Earth, What does the Bible Say? Many years ago I was confronted with the idea that the earth does not actually spin on an axis. After much due diligence I came to the conclusion that, it may be that the earth is fixed because there is absolutely no conclusive evidence to the contrary. The Michelson–Morley experiment was deemed a failure because they could not detect the rotation of the earth. However for the Fixed Earth Proponent the experiment was not a failure, the results should have been accepted at face value. You see they weren’t seeking to answer the question: Does the earth rotate or not? They were trying to verify a predetermined outcome. 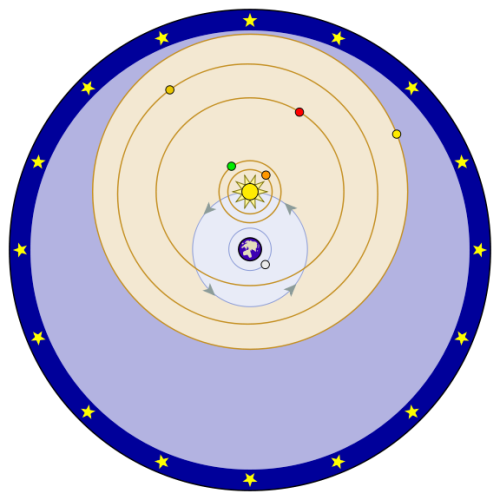 Consider taking the Copernican Sun-Centered Solar System model, make the Earth the Fixed Center, and everything else works relatively the same. Which one is true? Because we cannot prove the earth moves, it only comes down to belief, and we were taught to believe that it does move! Question everything! My Bible also says, that the earth is fixed and that it does not move — honestly this may only be a figure of speech meaning that the earth will remain as God created it. If I had more information perhaps I could say, “I will not be moved.” I will admit that all the heavenly bodies seem to be moving, relative to the earth and each other, that much I know, after which every opinion is hypothetical and theory. Thus, many Flat Earth Proponents extend to ridicule the Spherical Earth Model based upon the weakness of the rotating earth theory. Since none of the flat earth models rotate, this is not even their argument and the hypothesis that the earth does not spin by no means lends credibility to any flat earth model I have seen. If one were honest they would stop using this specious argument to convince others of their belief. Its like saying that 911 was an inside job, it is a different argument. The flat earth model has much higher hurdles to overcome. As I have done, and I have spent hundreds of hours, I encourage all to honestly research all of these topics to their own satisfaction, or desired result if that is good enough for you and you are unteachable. Me, I want no less than the truth, and if it cannot be discovered, I must rightly divide the Word of God and let It be the deciding factor if it has anything to say on each subject. So I am going to share what I have found in the Bible and show you some of the other hurdles that I encountered on my investigation into the flat earth models. But please do your own research, it should be fun! This is the opening statement of the Bible, the very definition of the word: universe (the single spoken sentence). It is a proclamation of the first three things that God created. He created the beginning, that is time. He created the heaven, notice that it is explicitly singular. And He created the earth, which He goes on to describe in the very next verse. At this point on the first day, what does the earth look like? How could it be without form? It must have its own form, but no other form. Does this mean that it must be uniform? Which of the following two are uniform? A PERFECT sphere has only one form and would be void of additional form. If you took a gallon of water and proportionally placed all of the minerals that make up the earth into it and let it set it would separate by density leaving the water on the surface, now throw that gallon into a limitless void (no gravitational pulls, no light – a true void) it would form a perfect sphere with water on the surface… This is a picture of the earth on the first day before God said, “let there be light” – before He created the other heavenly bodies… before He formed anything else. If Genesis Verse One is a complete description, this is the picture that emerges without using conjecture. The flat earth model cannot be uniform unless it is infinite, that is, it goes on forever! But not even the Flat Earthers are claiming this. And it cannot be just flat because in reality only three dimensional objects can exist in our universe, so really we are looking at a type of platter earth model because it must have depth and circumference. Therefore the flat earth model is composed of at least three forms: 1. flat, 2. a 90 degree angle or curvature to form the edge and 3. the curvature around the circumference, which cannot be equal to the first curvature, otherwise it could only form a perfect sphere. The geometric shape with least surface area to mass is a sphere. Matter itself, especially liquids tend to get spherical to minimize their surface area. In conformity to this fact, a Spherical Earth would be the natural formation created by God. Only a perfect sphere can be without form and void. We also notice that the earth was covered with water, only described as deep. Because the Bible uses the figure of speech “the foundation or pillars of the earth” many people jump to the conclusion that that foundation must be like the foundation of a building built by man. I can also use the figure of speech to say that, “The Bible is the pillar and foundation of my faith.” But nobody actually believes that I am literally affixed to or standing upon a literal Bible. This verse from Job explicitly confirms that the Genesis 1:1 description of the Bible is complete. Before God’s Spirit moved upon the face of the waters, there was nothing but this perfect formless and voidless sphere called the earth as the central focus in an infinite and otherwise empty time/space continuum called the heaven which you couldn’t even see if you were there, because there was no light. Notice that there are no defined boundaries to the heaven that God created on the first day, only an infinite universe is described here, with the Flat Earth models the description is incomplete and wrong in every way. Now the scripture speaks of three heavens, the first of which was created on the first day; the third heaven is where the prophet was caught up and where God and the angels dwell, which could perhaps be described as a parallel dimension because it is rarely (according to the bible) but not readily observable on earth. But I do believe that we can explain the additional, or second heaven by the creation of the firmament on the second day when God separated the waters from the waters. On day one there was only one body of water, and that was on the earth, which God separated, the water above from the body of the water below. So what is this firmament that God made here between the waters? Verse 20 speaks of …fowl that may fly above the earth in the open firmament of heaven. (Gen 1:20) We know that birds do not fly in outer space because they need the atmospheric heaven or firmament to live in, neither do they fly in the dry land. So as some Flat Earthers claim, the firmament is not a pounded out metal type dome fixture that has stars attached to it over a flat earth. Notice also that God called the firmament that He created on the second day “heaven” and not “the heaven”, these are not interchangeable in the creation account, they are not the same thing – one was created on the first day, the other on the second day. v. 1 says “the heaven” was created on the first day. On day two He creates a firmament between the waters. We look around and we see waters below on the earth: oceans, seas, lakes etc. We see waters above in the form of mist and clouds: what is in between is where the birds fly per v.20. These are 2 different firmaments/heavens. One created on day one, the other created on day two. Q. Did God create the same firmament heaven on two different days? No. One is infinite as there are no defined boundaries. The other has two boundaries: the water below and the water above. So the lights that God created on the forth day, are not in the “firmament heaven” between the waters that He created on the second day where the birds fly, but they are in “the heaven” that he created on the first day. And many Flat Earthers digress to proclaim that the moon is luminous in itself and does not reflect the suns light as if reflected light from the moon would not qualify as the “lesser light” to rule the night, this specious claim only tends to discredit their major thesis. 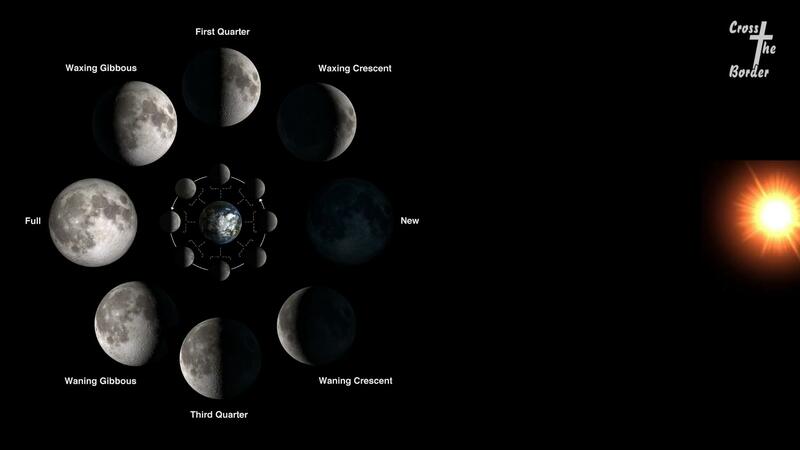 Mere observation of the phases of the moon in conjunction with the position of the sun verifies that the sun is shining upon a spherical moon. 2. only if the earth is a Sphere is the description complete. The Sphere is only and perfectly a circle from any perspective, the Flat earth is not. (Pro 8:27) … he set a compass (H2329) upon the face of the depth. A definite reference to the Genesis One creation account. Again notice the omission of any description of flatness, it must be assumed. However, this verse seems to suggest a roundness upon the face of the deep, which only describes the face of a Spherical Earth. The face of a Flat Earth would not encompass, or include its edge or underside. The Hebrew word for ball would not be used to relate what we conceive of today as a perfectly spherical pneumatically filled soccer or basket ball, but the reference would be to a grain or otherwise filled sewn sack for game playing, therefore not really an apt description of a perfect sphere. An apt description of a perfect sphere would be the “circle” in 3d by adding the descriptive phrase “deep.” Which two descriptions are the only contextual descriptions that the Bible offers for the earth. Circle and deep without a third modifier exclusively describes the sphere. You would need to add flat and corner etc. to get the flat platter or cylinder form. (Job 22:14) …he walketh in the circuit (H2329) of heaven. The Job 22 verse verifies that the hosts of heaven have a circuit which is easily observable. Which model below explains all of our easily observable phenomena? Neither of these adequately explains the phases of the moon, especially the lunar eclipse which is impossible with either. Neither of these explain the six month days and nights in both the arctic and antarctic at opposite times of the year. Gen:15:12 … the sun was going down. In the first model above the sun is always up, it only fades into the distance, and it never goes down. In the second model the sun must immediately appear from the underside of the flat earth in the east to be consistent with our experience. Does that even work? Can the Flat earth proponents come up with model that satisfies all of the above problems? I have yet to see even one. The Fixed Spherical Earth model perfectly satisfies all of the biblical criteria, observable lunar phase phenomenon including the lunar eclipse and the six month day/night in both the arctic and antarctic. 1. The earth does not spin. 2. satellites are not real. 3. airline flight paths, GPS hoax. 4. Moon Hoax and NASA lies. 6. some people in the past believed it. 7. 911 was an inside job. None of these, though they may or may not have merit in themselves, none of them prove that the earth is flat and their constant insertion into the debate should only be considered obfuscation. I have found in my research upon this topic that the Atheist uses conjecture to divine a flat earth from the Bible to discredit it, now Christians are doing the same thing to uphold a thesis that is not really there! Things stated in visions, dreams and other Bible topics are not biblical doctrine on the shape of the earth, but conjecture. Bible Doctrine on the earth is only what is explicitly stated as such: The earth is explicitly described as circular, deep, and hanging upon nothing – this description can only be the sphere. God is smarter than all of us. A circle is a hypothetical 2D object, add the word “deep” , a 3rd dimension, without additional description and the sphere emerges. Nowhere does the Bible explicitly state, “the earth is flat.” It must be assumed or conjectured from unrelated scripture. Please show me these things on your flat earth: ends, edges, corners, domes and pillars, if and when you find them, then I will need to explain them to you. You cannot show them to me because they are all symbolic. 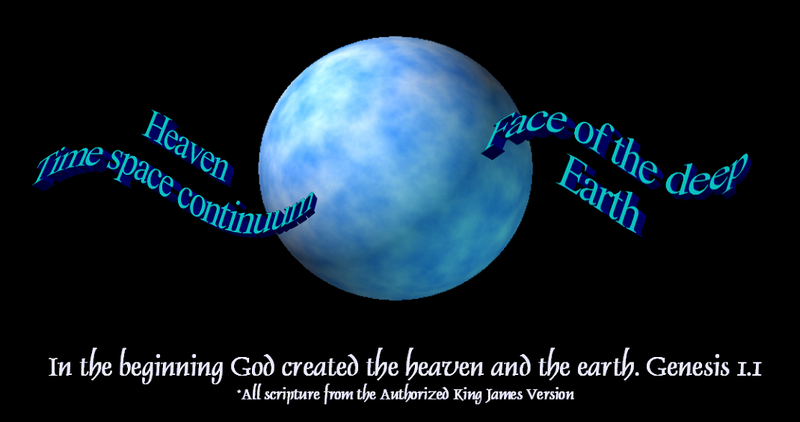 In Isaiah, God used the one word which completely describes a three dimensional earth from every perspective, a circle. He did not call it a ball, because the earth is not a toy, created to play a game. Some ancient Hebrews did use conjecture to develop a cosmology, others observed the heavens and discerned that the earth was spherical as explicitly described in the Bible, much as I do. By conjecture you can make the Bible say anything you want on any topic as simply as you can use a dictionary to write another book. Conjecture allows the reader to read whatever he wants the Bible to say on any topic. What does it mean to rightly divide the word of God? 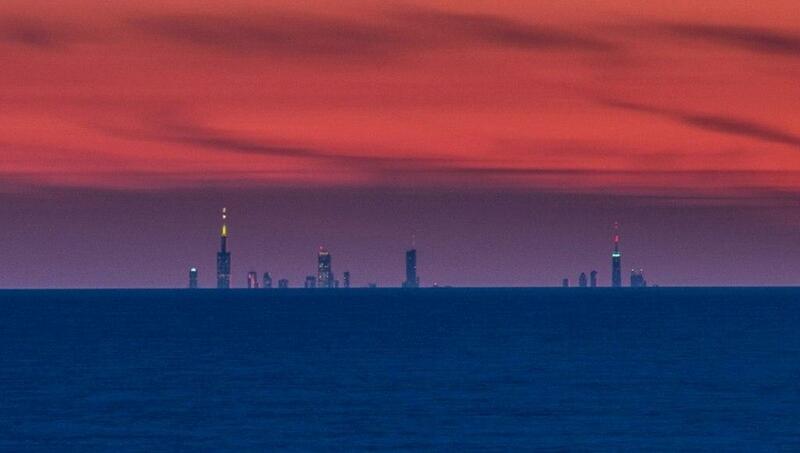 First you start with a false assumption, “that this could only be seen if the earth is flat.” But, there is actually only about a 4 inch rise in the curvature of the water per mile at the center point between, times 56 miles equals about a 20 foot rise between the Michigan and Chicago shore. Because my camera is 6 feet above the water edge, and the buildings start at least 6 feet above the water, the actual rise between my eyes and the foot of the buildings is only 14 feet, therefore in round figures, I should be able to see the buildings across the water starting at 34 feet above the Chicago water level, which would be about floor level of the third story. Would the picture be consistent with this calculation? YES! Nowhere in the creation account is there any boundary placed upon The Heaven that God created on the first day. Did an infinite God create anything less that an infinite universe? 2. only if the earth is a Sphere is the description complete because the Sphere is only and perfectly a circle from any perspective, the Flat earth is not. The Bible does not explicitly support a Flat Earth, period. Keep your eyes on the more important prize, continue to Walk in the Spirit and be led by the Spirit. Our Creator calls His Elect to obey His commandments, allow His Holy Spirit to bring forth the fruit of repentance in your life, “the good works which God has before ordained that we might walk in them.” If you cannot obey Him now, how do you think He will lead you when the time is critical. Learn to trust and obey Him now and you will be able to hear and obey Him through the present tribulation, coming World Conflicts and Mark of the Beast Inquisition. Cross the Border into His Kingdom, obey the King and live forever, nothing is more important! It was after this movie broke on the world that the flat earth co-intel phenomenon broke out. Is there a correlation? Who would want to counter-reform this bold move of the truth? Who are the worlds greatest counter-reformation experts? I leave out most of those verses that the flat earthers use to conjecture their thesis, looking in the Word for only what explicitly describes the earth itself, which is actually very little. This type of conjecture is the same method used by the Jesuit Futurist Prophecy scheme. For instance you say, “WE ALL will see Him when He comes! Impossible on a globe earth.” This is conjecture. Is God so small and powerless that He can only accomplish this if the earth is flat? Honestly it will take considerable power to accomplish such a thing even on a flat earth! But I think God can handle it no matter what the shape of the earth! Now on a spherical earth: you swivel around 360 degrees, and It looks flat too. The same would prove true from the highest mountain or jet plane. What does this prove? That you cannot tell if the earth is flat or round by mere observation of the horizon. I dont really care if the earth is flat or round, but I do care about the word of God and I have not lightly made my conclusions known here. hopefully you can spend as much time considering this site, in your search for the truth. This article is biblically wrong and misleading on every count. The math doesn’t work out. This is all well-known and proven and even admitted often by ball folks. Ball Earth folks always seem very susceptible to deception and wish to be deceived it seems. Conclusion… we never went to the moon, Evolution is fake and the Earth is flat! 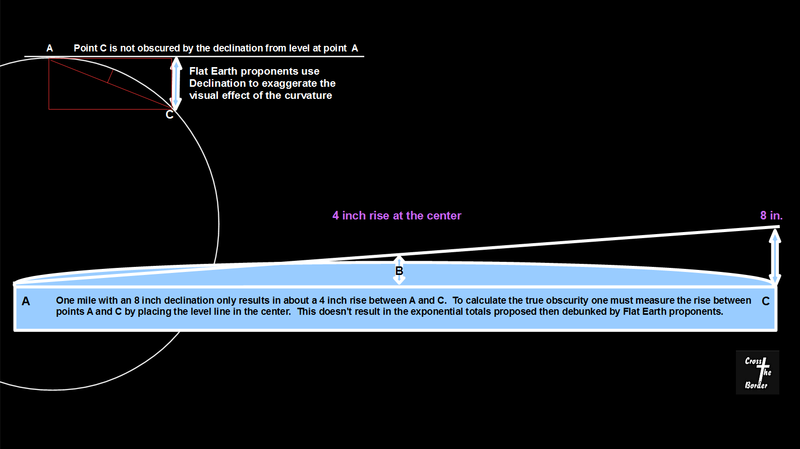 Your drop to measure the curvature “A” is not the same as the rise between the two surface points “B”. This article is full of truth, although we know the earth also rotates (Job 38:14) at any rate all of you who are arguing about this are falling into the hands of satan. For you are fighting against flesh and blood. You are not following the greatest commandment of the one whom you profess to follow and love. Stop arguing amongst yourselves as children, immature and foolish, close your mouths and open your ears. The next move of God will only bring in those who’s ears and hearts are open. The fool speaks of foolish things as a child, but the wise heed wisdom…and whom could be more wise than our Lord Jesus the Christ when He said, love your neighbor, forgive lest you not be forgiven, and first remove the plank from your own eye. This Pharisaiacal religiosity about things that don’t matter is sending people to hell! Wake up! Pull your heads out of the sand, and run the race set before you. You’re sons and daughters of the Most High God! Act like it. Wake into your destinies. Stop walking according to the flesh, be lead by the Spirit. Love you all. It’s time to unite as the body and destroy the works of the enemy! This article is written in defense of a slander against the Word of God, period. I agree that all of those who make the Flat Earth the center of their faith are likely lost, because they have deep rooted reservations about the truth of God’s word to believe that it upholds something that it actually does not..
huh? It is turned as clay to the seal; and they stand as a garment. (Job 38:14) a non sequitur. This article is primarily about what the Bible reveals. Did you know, that ancient Hebrew did not have a word for sphere, they used the word circle instead, so the circular Earth reference could mean sphere exactly. If you read the Book of Enoch he mentions the four corners of the Earth shown to him by the watchers, this is very confusing as Isa 40:22 says circle. So many times its mentioned in the bible the Earth is firm unmovable how can we be spinning then?? Then under the earth is mentioned a few times as well.. both in Enoch and Rev 5:3 5:13 as we will be all judged as well as those angels that were put under the earth how can you have under on a sphere Earth??? 2. when I die they will put me six feet under the earth, having nothing to do with the shape of the earth either. I remember several months ago when you were talking about the flat earth that the sun being very large and millions of miles away which stays the same size constantly throughout the day. Well, you were completely wrong about that. The sun is a different size in the morning and especially in the evenings. You haven’t seen a sunset before Nik? EJP said the earth was much closer to the earth than we are being told and this video makes a lot of sense. I watched it at double the speed due to time constraints, I suggest you do the same as you say you are a busy man yourself. What you remember I said and what I actually said are two different things. I have no idea how far the sun and moon are. But the sun and moon are definitely NOT between the clouds and the earth as this video claims with totally unbelievable pictures, and they are not simply hundreds of miles above the earth otherwise the sun an moon would be demonstrably variable in perspective, which they are not. Actually my experience is the opposite: the sun and moon appear LARGER at rise and set due to an atmospheric magnification effect, but from about an hour after and before rise and set they appear RELATIVELY the same size throughout the entire day because of great distance and perspective. Watching all of these Flat Earth videos with their silly drawings cannot take the place of real world observation. And I will certainly not allow them to overturn the explicit Bible description of the earth. I thought I would point out that most all translations say that the “heaven” in Genesis 1:1 is plural. Indeed the Concordant Literal Version has heavens (plural). In my e-sword software with 28 translations only the KJV and 3 others use the incorrect term “heaven” (singular). The creation of Genesis 1:1 therefore would include the three heavens that are mentioned in the Bible, and these three heavens from our human perspective are all above the earth which would rule out an earth shaped into a globe where in reality there would be no “below” or “above”. The creation of Gen 1:1 was most certainly created to sustain all physical life as we know it, and from our human perspective there has to be an “up”, “down”, “under”, “below”, and “above”. These human perspectives simply would not work anywhere on a curved globe, but they work perfectly on a flat earth plane. It is not a question of “the heaven” (as you put it) compared to the other three heavens since they could also be called “the three heavens”. Keep in mind that the firmament was called “heaven” (above the earth), and therefore could not be around or under the earth, and could also not be the “unexplainable” so-called universe simply because it would be “endless” in distance, space, and time. The point is, the term “endless” cannot be humanly understood and explained. But NASA and our highly “trained” scientists just come up with the incredible numbers of billions and trillions of stars and galaxies that are many billions of “light years” away from us, and these scientists with their brilliant “scientific” minds all confess that the so-called “end” of space and the universe has not yet been determined. I truly believe all this scientific “knowledge” is simply nonsense and pure “science fiction”, and our “mad” scientists are “pulling their hair out” trying to explain a creation without a creator. Above the created “firmament” (barrier) is the spiritual heaven and dwelling place of God and the spiritual realm of “eternity” that must be separated from the temporary physical human realm. God and Eternity is a spiritual realm that space, time, and distance have absolutely no effect on; therefore it cannot be a realm of “unexplainable” endless space and the so-called universe. Anyway this is how I believe, but you obviously believe differently. That is fine with me and I do not want to argue. God bless you. Mahlon, We do not interpret the Bible by what most translations say. The Hebrew plurality is determined by the context. Paul wrote, Through faith we understand that the worlds were framed by the word of God, so that things which are seen were not made of things which do appear. (Heb 11:3) The six day creation (things which are seen) came out of a preceding realm which does not appear, the third heaven where God and His angels dwell were not a part of this creation but preceded it. This creation only only encompasses two heavens, in order: 1. 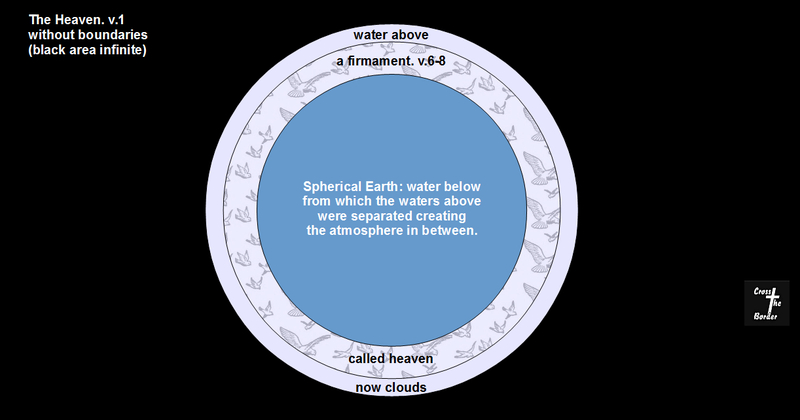 “the heaven” that He created on the first day before He created the earth; 2. a firmament “heaven” created on the second day, between the waters below (lakes,rivers, oceans & seas…) and the water above (clouds) where the birds fly in between (v.20). Nicklas. You should check out the first 20 minutes of this video. I’m not sure I can refute his explanations from the scriptures. Maybe you can help. But this subject seems to be picking up a lot of attention. Thanks for the references you gave. Not sure if they are conclusive though. Yes this is one of the videos that I have watched in its entirety. The guest affirms that he still holds to a “globe earth” as he considers flat earth arguments. I dont know where he stands today, has he changed his mind? The scriptures cannot refute arguments which it does not address. The real burden is upon the flat earth proponent to site the scripture that explicitly describes the earth as flat, which I have not found. Did God give us an incomplete description? If he did not, then a deep (3D) circle without form and void can only describe a perfect sphere, and that is about as conclusive as it gets. 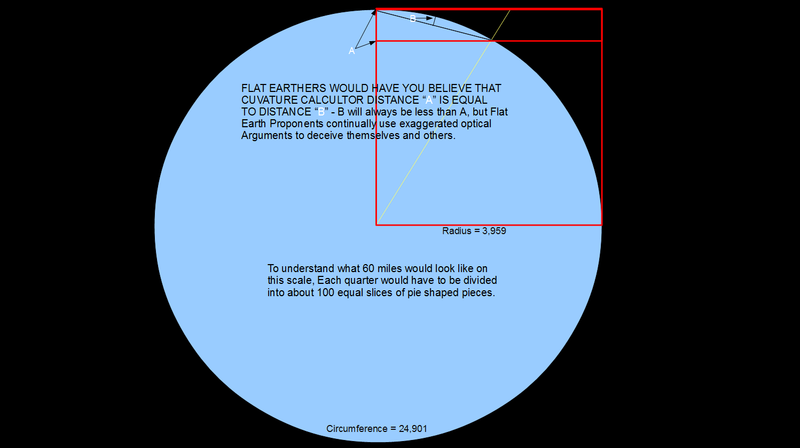 Did God sit on the “flat of the earth” and neglect to tell us, or did he sit upon the “circular perimeter” of the flat earth but didn’t know that we would debate this some day and forgot to mention the “flat”…. When God set a compass (circle) upon the face of the depth was it the curvature of the sphere or did he just forget to mention once again that it was flat? He seems to be leaning heavily towards a flat earth. But still claims to believe in a glob because of a few unanswered science questions. I just listened to his bible study on the topic. Going through all the different scripture talking about the creation/earth. Seems that it’s a matter of perspective. To me the scriptures your talking about would work for both models. Yes the “circle” will work for the shape of the flat earth perimeter, but the flat part must be assumed first because it is not explicit. However a sphere is a 3D circle from any perspective, no presumption is needed, if we only allow what the Bible explicitly states, we have no choice but to see a sphere, unless I’ve missed something. If I presume “flat” am I adding to the word? Best I can figure is that if you presume either way your adding to the word. This part of genesis doesn’t seem to be conclusive in itself. If confined to the one verse (Gen:1.1) “flat” and “circle” would be presumptive, but it is “God who adds” the description “circle” at Isaiah 40 and Proverbs 8. Knowing that, I cannot ignore how it completes the Gen 1 description conclusively. The flat earther would choose not to put these together. “And the earth was A CIRCLE (IS:40.22) without form, and void; and darkness AND A COMPASS(PRO:8.27) was upon the face of the deep.” Remember omitting or ignoring is as criminal as adding to the word of God. I believe that all three of these separate descriptions are complete in themselves and certainly conclusive when put together. I’m sorry Nicklas, I’m not seeing what your seeing when I think about those three verses together. Thanks for you patience but it doesn’t seem to be conclusive. Maybe I’m missing something. I’ll have to think about this more carefully. Its not about what we think, but about what God wrote when He wrote it. The word compass is translated from the same Hebrew word that circle is. The definition of the instrument (noun) is new compared to the Bible use as descriptive. ………………………………….you think you have it all figured it out with one little bible study? be diligent and humble and seeking the truth, and those with a humble heart and willing will be shown the truth. you have to want it more than anything, more than life itself and certainly more than fans on your blog.. Wanting to know God must be an obsession. I don’t have it all figured out and don’t really know what’s going on with the waters in heaven and stars right now but I do know a lot more than most because I do my homework. So please do your homework. It’s a lot of work but it’s our bread and it’s fun. I have been studying the Bible for 43 years and I still dont have “it all” figured out. I have hundreds of hours in reading and watching videos on this topic. From the voluminous meandering comments that you posted here I perceive that you believe much more than the truth. But you are on the right track with “Wanting to know God must be an obsession” – you have that much correct! blessings upon you and your house. Nicklas. Your last word said it all. ‘Obfuscation’. But to get the North Pole/South Pole twelve month evening and morning day requires the 22 1/2 degree set slope to the plane of the Sun’s apparent or relative orbit. Negative in winter and positive in Summer to keep it simple, but always pointing to the same parallel direction. This phenomenon creates the annual land sabbath whereby at the North Pole seven days of a year’s duration takes seven years to go by at the equator and elsewhere outside of this +/- 22 1/2 degree exclusion zone called antarctic and arctic. Moreso winter corresponds to the seasonal night and summer to the seasonal day of the annual land sabbath alternately in North and South hemispheres. The moon is on the daylight side of the earth at New Moon tracked by the Sun. More work needs to be done to explain why there are 365 days at the equator compared to the year long day at the North and South poles. The earth rotates on its North/South undeviating pivotal axis, every 24 hours on average, causing night and day with weekly sabbaths. There is no such thing as centrifugal force. There is only centripetal force. This could perhaps help to explain gravity, I may be wrong. But If the spherical earth abruptly stopped rotating, a man at the equator would be jettisoned forward at a tangent to the curve of the earth where he is standing at roughly 1050 mph and slam into any vertical object held rigid like a tree, or rock, or building. He would not shoot directly skywards because centrifugal force does not exist. It is useful to balance equations in the branch of applied maths called mechanics, that’s all. Too many conspiracy pragmatists are seeing what is going on. I believe all the dark age stuff being reinvented – coming to the fore is designed to discredit those onto the real conspiracies. They are global warming, reptilian shapeshifters, anti-semitism, flat earth, geo-centrism etc. Jeremiah chapter 5 shows the seas cannot rise beyond their commanded boundaries because they are obedient to God’s command. The winds and the seas obey Him. Only people do not obey Him. Babylon shall sink beneath the waves and perhaps this is the real concern of the false religious establishment called the Vatican. It will be no more. Forever! These dark age and comic book conspiracies are designed to ‘obfuscate’. They are designed to ‘obfuscate’ by the conspirators, that is. Getting back to the 2nd paragraph. If the earth is NOT rotating on its 22 1/2 degree axis, then the Sun must be circling the earth. If that is the case each day would be summer in the North and summer in the South for 365 days and always. If the earth is tilted the reverse way of the 22 1/2 degrees, it would be winter in the North and winter in the South 365 days and forever. Either the earth is swivelling on its axis like a slowing top, drumkenly, to negate this effect in unison with the Sun’s circling of earth, in which case summer and winter can alternate only if the swivel gets gradually out of unison with the circling Sun, or it is spinning once per day stably and itself circling the Sun, so that a year expires when it does. The bit following ‘either’ is clumsy at best. So confusing nobody will understand what I am saying. I believe God would opt for order rather than chaos, and that order is what follows ‘or’ in the previous paragraph. Splendidly stable and balanced and explaining the seasons and night and day, and the annual land sabbath day adequately. The earth on a set unchanging axis at 22 1/2 degrees rotating once every 24 hours and circling the Sun every year.